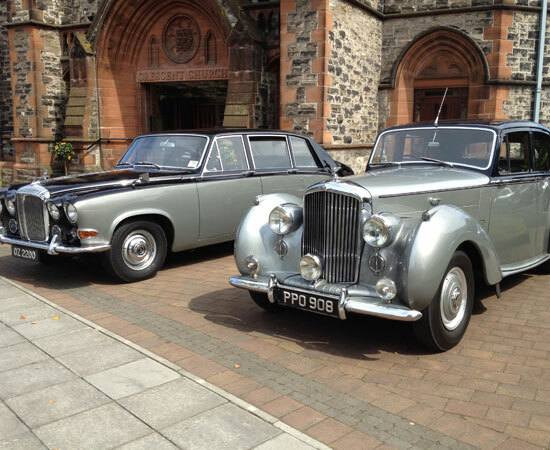 Bentley Wedding Cars Northern Ireland have 2 Bentleys for hire, a 1953 Black Bentley and a 1954 Silver Bentley. 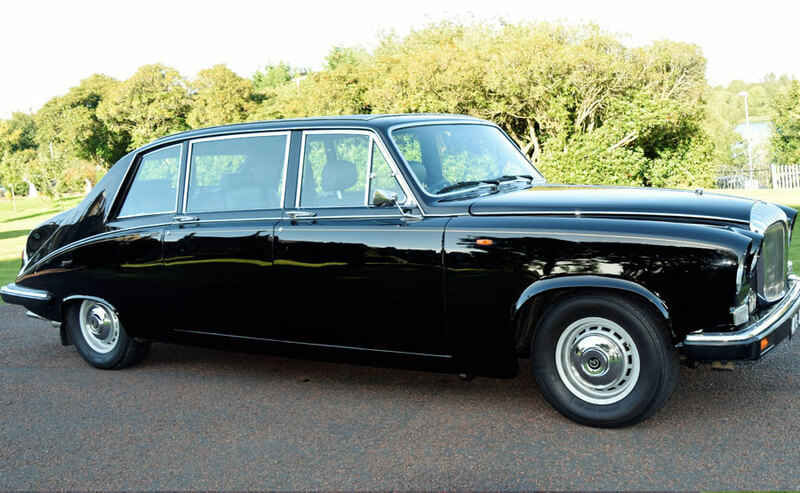 Both vehicles are in immaculate condition and many happy couples remark on the comfort, luxury and smooth ride of these models as they travel between venues on their big day. 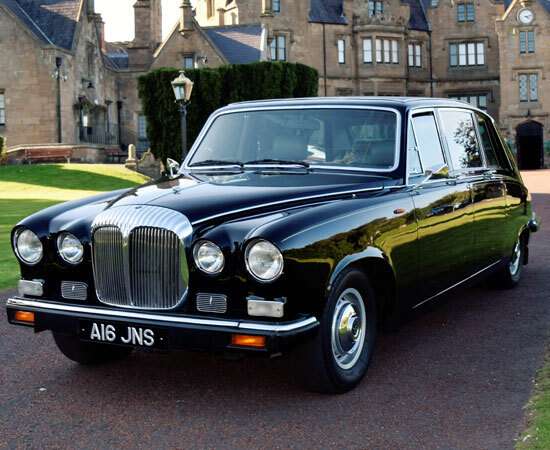 Our black Bentley car is finished with brown leather interior. 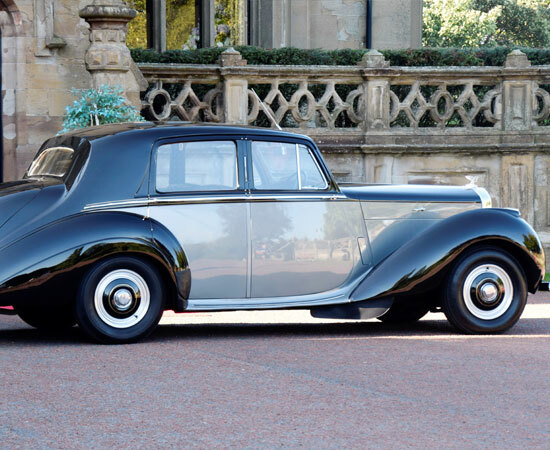 In exceptional condition, it is much admired and the envy of many. 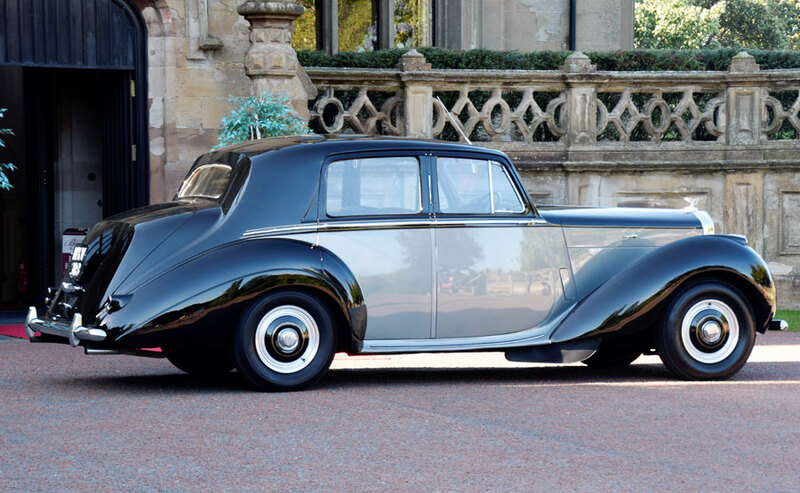 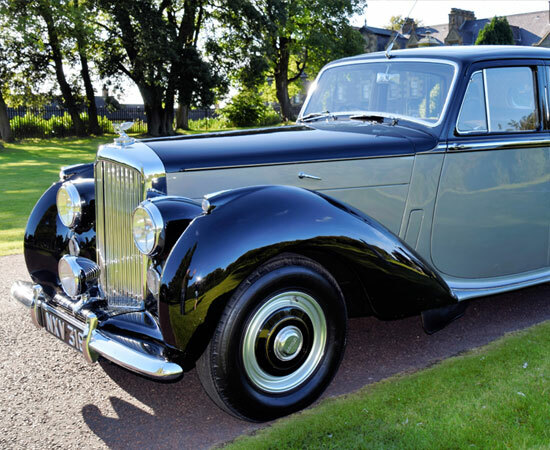 Its chrome work is outstanding and together with the stunning black coachwork, this vintage Bentley car is a perfect background for photographs of your special day. 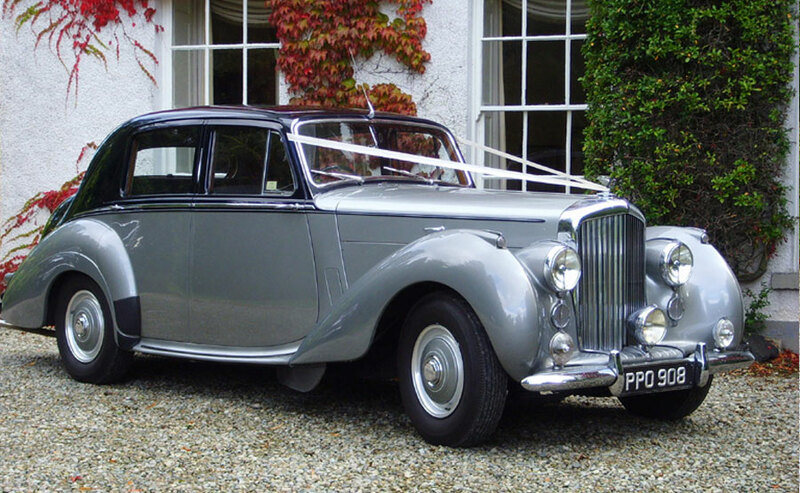 Our silver Bentley wedding car is a 1954 Bentley R Type model finished in Oxford blue over silver with grey leather interior. 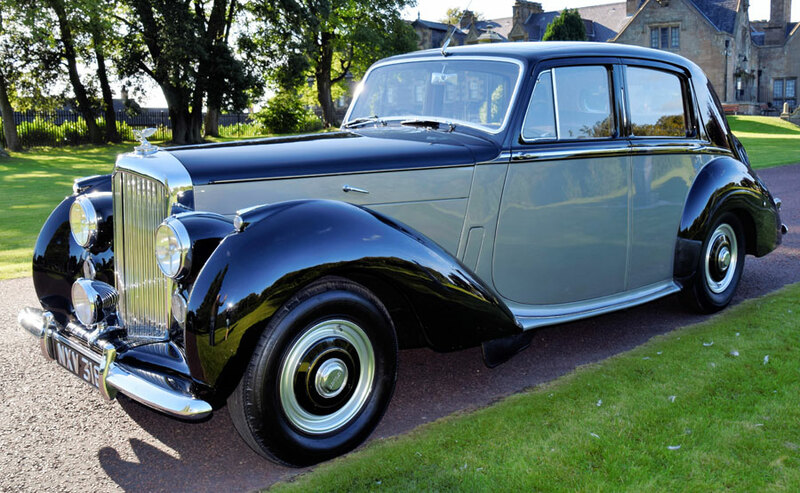 It is also in marvellous condition making it a perfect partner for our black Bentley car or alternatively with her matching two tone Daimler. 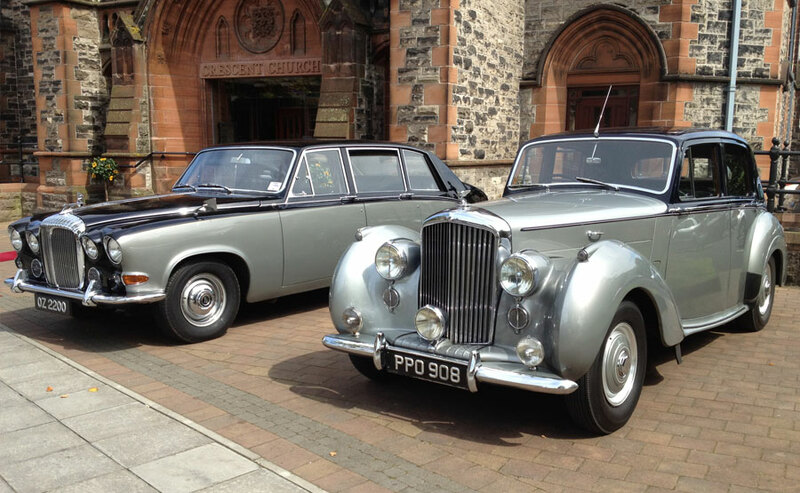 DS420 limousines are becoming hard to find in the present day, but especially in the pristine condition of these two particular models. 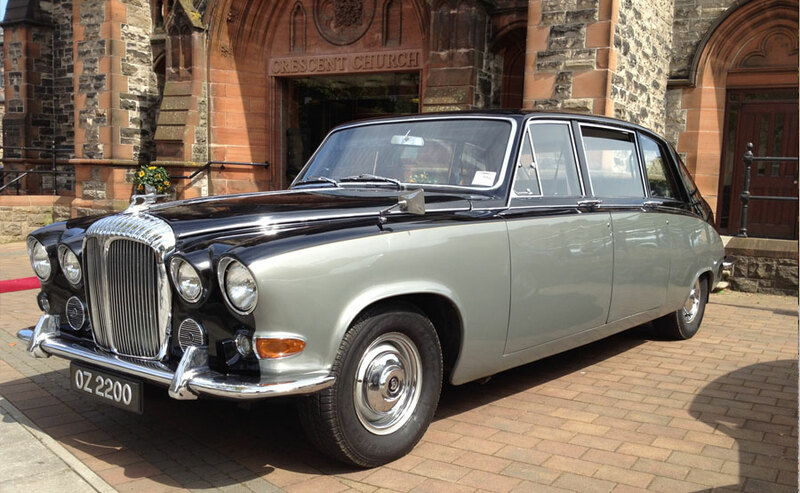 It is therefore no surprise that our Daimler models are a popular choice of wedding car to mark one of the most important occasions of your lifetime. 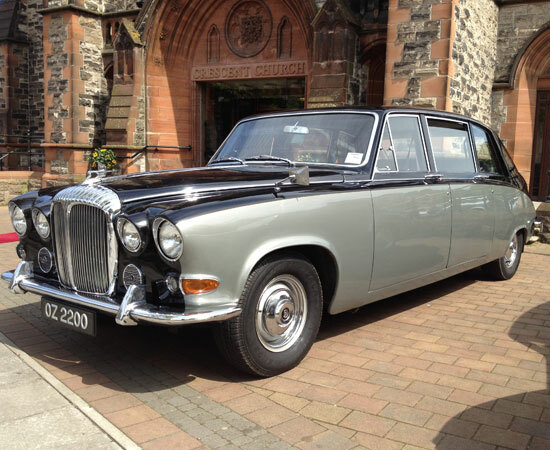 Our Daimler wedding cars are available in black or two tone Oxford blue over silver and have grey leather upholstery. 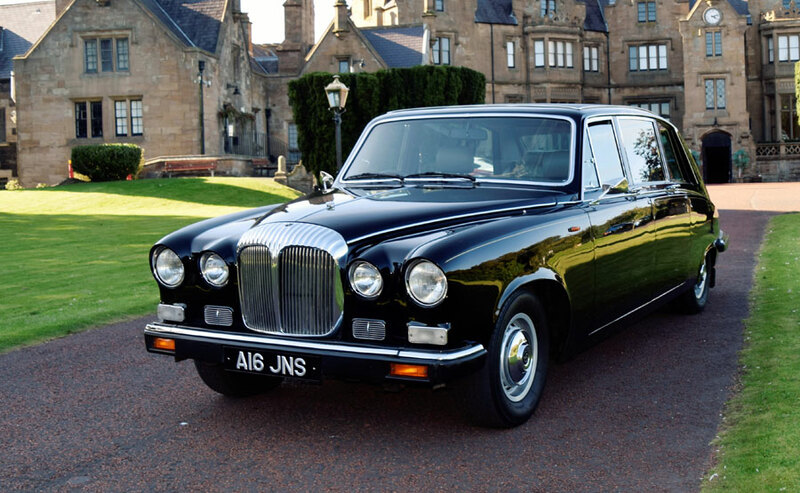 Their spacious interiors make them ideal for transporting large bridal parties to wedding venues throughout Northern Ireland. 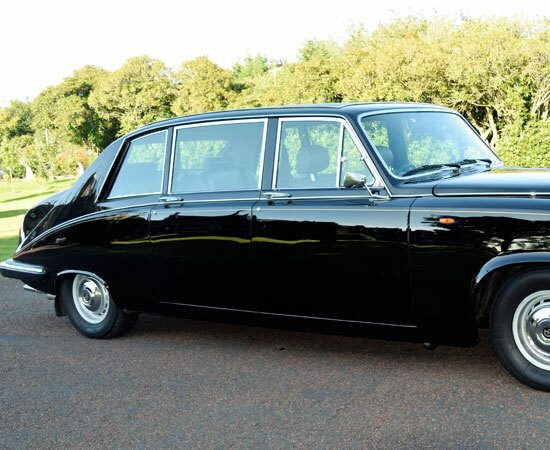 Each car is fitted with an extra row of folding seats in the rear which can comfortably hold six people. 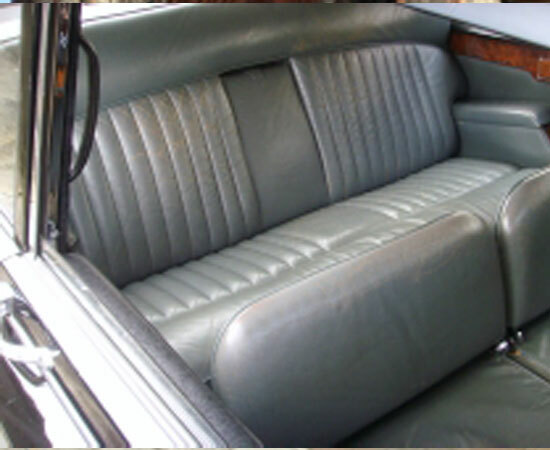 Space for an additional passenger also exists in the front of the vehicle alongside the driver. 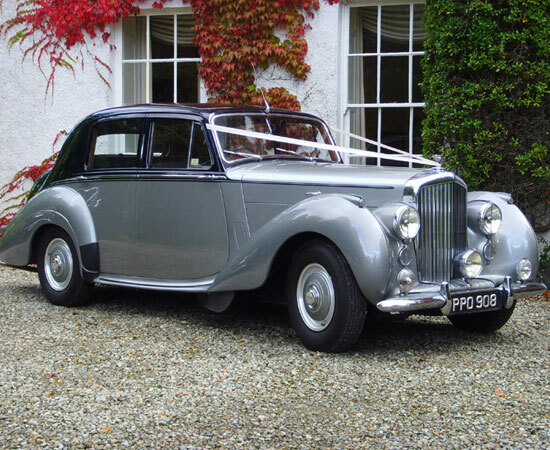 Our silver and black Daimler wedding cars can be hired as a pair or alternatively can be teamed up with our matching silver and black Bentleys.